After a long hiatus from menu planning, while we moved house and survived without home Internet for a month (a whole month! ), I'm getting back into it. 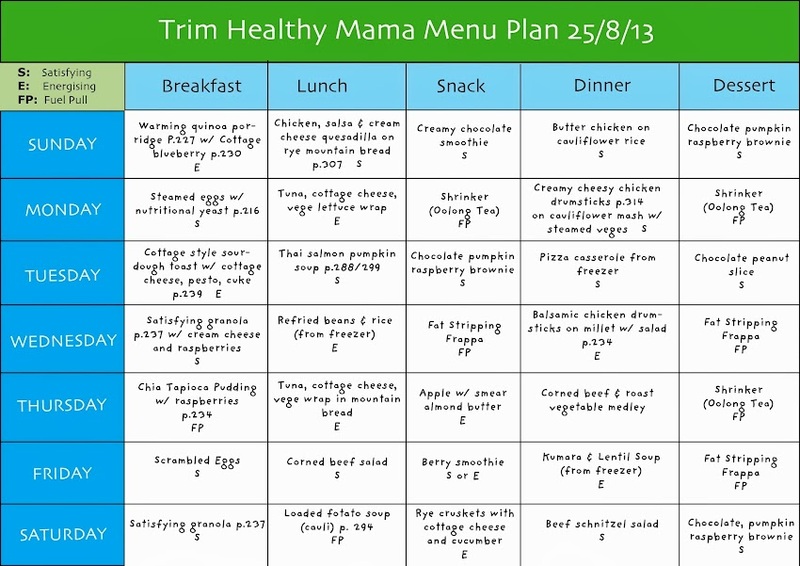 This week's menu has a Trim Healthy Mama focus, as that's the plan I'm following at the moment to try and get my blood sugar under control, lose weight and gain energy.